A community volunteer, educator, and recent advanced-level psychology graduate, Carol Godshall is currently completing an internship in marriage and family therapy in California. Carol Godshall brings to her role a diverse range of experience in academic and professional settings: aside from studying child & adolescent development, family relations, and other subjects in her master's program at Antioch University Los Angeles, she served as a school counselor during her practicum work, where she offered group and one-on-one sessions. Carol Godshall also has working skills in transformational and transpersonal psychology. 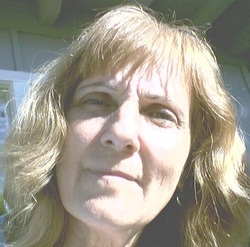 Carol has worked at William Temple House in Portland, Oregon as an intake volunteer helping underserved individuals and families going through difficult economic times. Committed to causes that affect her local, national, and global communities, Carol Godshall spent three years with the Findhorn Foundation, learning the importance of sustainable living and an informed understanding of ecology. While there, she served with various activities and assisted guests attending workshops. She also worked at their community center, tended the garden, and cooked breakfast for over 184 guests. In her prior professional experience, Carol taught Special Education and K-12 Education for over 25 years on the West Coast. During her time as an Educator she served on School Leadership teams, and Student Study IEP Teams. Her Teaching experiences using State multicultural education has been a normal part of working in diverse communities. Carol has valued her work within Special Education and her few years of working as a Subsitute Teacher.